In a future where progress is accelerating beyond humanity’s ability to keep pace, the Humanists are trying to live in harmony with nature and avoid the advancing technology. One night, a fire destroys Kingstown – the Humanist settlement on the West Coast. As details of the tragedy emerge, outrage sweeps the Unites States, putting President Bill Freeman’s reelection prospects in doubt. Negotiator Mia Arc faces a challenge of a lifetime when she’s asked to defend Humanist rights in the face of growing controversy. As she investigates the tragedy, she finds more questions than answers. Who is responsible for the tragedy? Did robots have something to do with it? And is anybody really who they say they are in this cyber-enhanced, nano-technological, unnatural world? 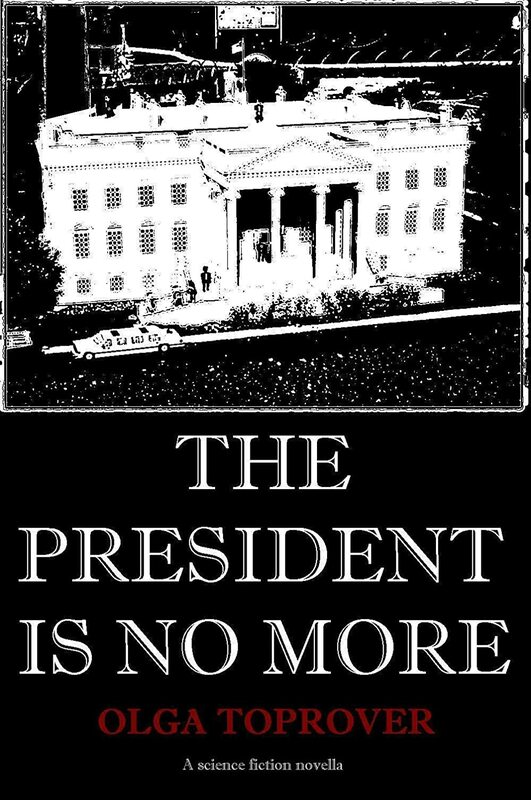 ‘The President is No More’ is a hard science fiction story. The idea was to create one of the possible futures or even to predict the future. Write about the topics you are interested in. Besides creating amazing new worlds, Olga loves swing dancing, swimming in the ocean and spending time with her children.